Reports reveal that around 800 million viewers visit YouTube every month and they are the ones who make this platform the second-largest search platform just after Google. Marketers and Google have all adopted this online marketing tool and there’s no doubt about the fact that YouTube has surprised businesses and consumers alike. Although the usage of codes and algorithms are not as advanced as that of Google but YouTube does offer few new elements to increase the business growth and web rankings. 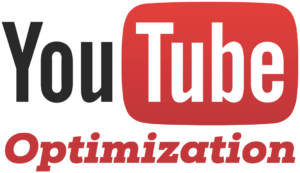 But if you’re someone who is interested in the feature called YouTube annotation, you should also know the ways in which you can optimize your YouTube videos. Check out few steps that you need to take into account. Name of the file: First things should always come first and hence before you upload your video and try to optimize it, make sure that the title and file of the video match with each other and that each word is always separated with a small hyphen. The first bit of optimizing starts right with this step. Keywords: The way you use keywords will help identify the words which match to the video which you’re looking for. Therefore, you have to make sure that the right keywords are used in the description and title of the video. People can reach out to your video easily with this strategy. Categories and tags: When you upload a video on YouTube, you will be given the option of uploading it in a specific category which is related to your video. When you tag your video, people can identify your video in different categories. Adding the right tags is the ultimate key to increased visibility. Title of the video: Apart from having around 50 characters, the title should also have target keywords which link to the content. Apart from the title, the video also requires being descriptive so that it can be found among the crowd of videos. To keep your video optimized, you can easily update your title. Therefore, if you wish to optimize your YouTube videos, you can follow the above mentioned tips. You may also include YouTube annotations where you can keep a live commentary to the videos. Add a speech bubble so that people don’t face any trouble while watching the video.